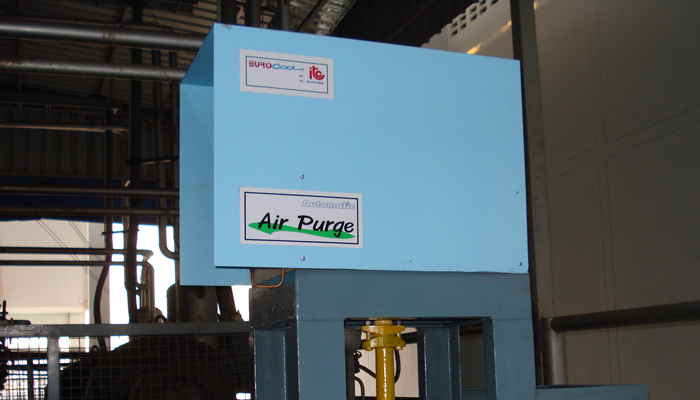 Air Purger model AP-F01 use for removing the noncondensible gas (air) from the R717 (ammonia) refrigeration plant, Each one unit is suitable for system capacity up to 500 Tons (1,750 kW.) at suction pressure below atmospheric pressure or 1,000 Tons (3,500- kW.) 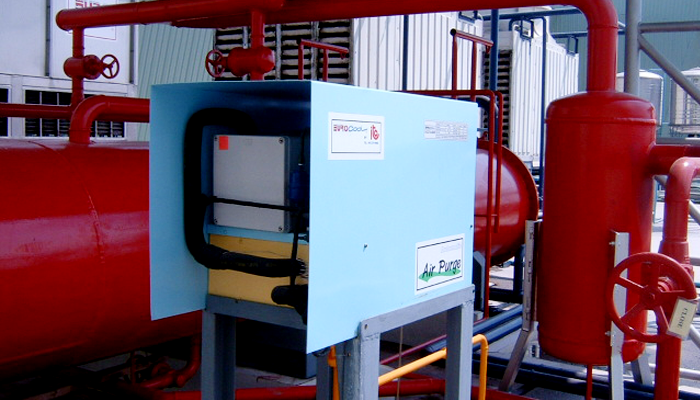 at suction pressure above atmospheric pressure, This Airpurger also Suitable for R22 and other halocarbon thus provide energy saving and improve system performance. Steel Egg Flange for pipe 1-1/4"
Air Purge model “AP-F01” is employed to remove the non-condensible gas (air) from the R717 (ammonia). 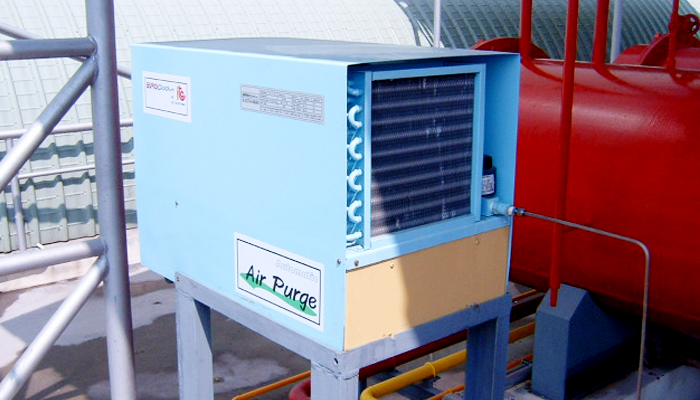 Here refrigeration plant is capable of having a system capacity up to 500 tons (1,750 kW) at suction pressure below atmospheric pressure and 100 tons (3500 kW) at suction pressure above atmospheric pressure. It is also used for R22 and other halocarbon. Hence, the eradication of the non-condensible gas indeed improves the system performance and saves the energy consumption. What will happen if non-condensible gas enters the refrigeration system? 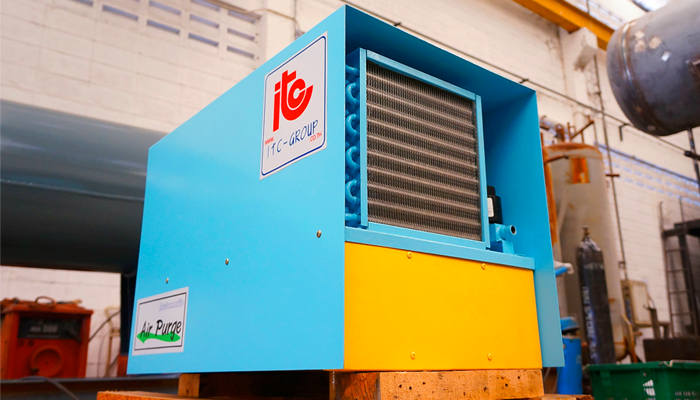 The presence of the non-condensible gas can cause the entire refrigeration system to damage from the rise of energy consumption and the system’s efficiency decay. The accumulation of very high pressure non-condensible gas will lead to an increased uptake of temperature which will apparently destroy the compressor. If it is left precariously, it will have high condensing temperature, high pressure and high energy consumption. Eventually, it possibly results in system failure. Services and installation is very convenient and accessible by providing it with only one connection point to the mixing tank containing pure water and one purge point to high pressure side.